Click to print The Peaceful Mom BLOG AFFILIATE PAGE. 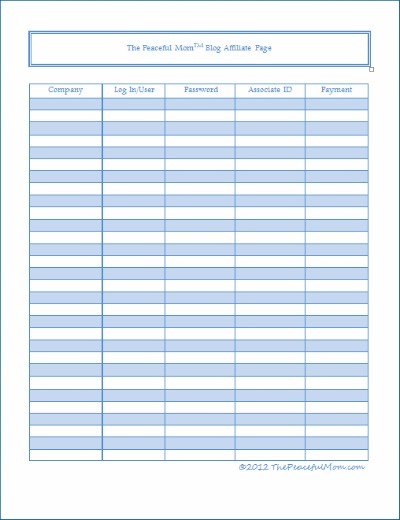 Use this page to keep track of companies you are an affiliate for as well as password and payment information (paid by check, to Pay Pal, etc. ).